North Ronaldsay mutton has launched an application for official protected name status – the latest quality Orkney food and drink product to begin the process. If successful, the mutton, from Orkney’s most remote island, will join Orkney Beef, Orkney Lamb and Orkney Island Cheddar as local products protected under the EU scheme. A similar application has been launched for North Ronaldsay wool. Orkney Crab and Orkney Beremeal are also currently taking part in the application process. 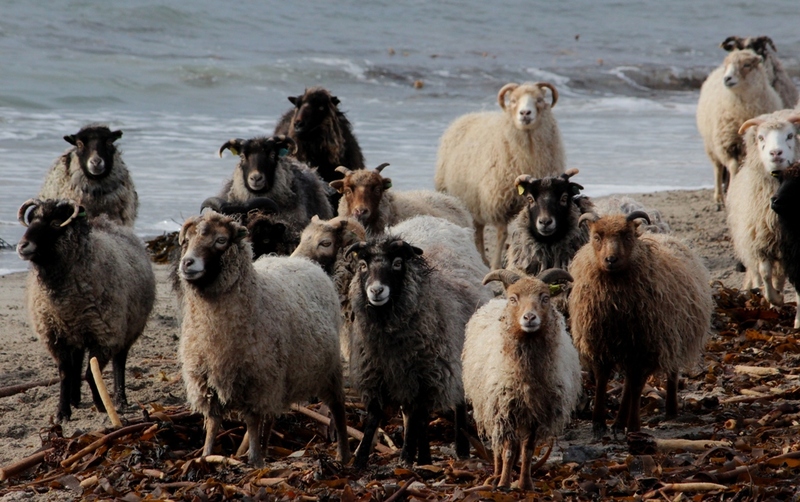 North Ronaldsay mutton is one of Orkney’s most unique products. The island’s sheep are kept on the shoreline by a large, hand-built stone dyke and feed on seaweed and other bounty thrown up by the sea. The mutton is lean with a gamey flavour and is held in the same regard as Italian prosciutto ham, truffles and caviar. There are three different marks available for products. They can be awarded Protected Designation of Origin (PDO), Protected Geographical Indication (PGI) or Traditional Speciality Guaranteed (TSG). Orkney Island Cheddar has PGI status – the same mark the North Ronaldsay Sheep Court is applying for on behalf of its mutton. Orkney Beef and Orkney Lamb are registered as PDOs, with Orkney Beremeal applying for the same status. The EU Protected Food Name scheme highlights regional and traditional foods whose authenticity and origin can be guaranteed. It’s seen as a guarantee of quality and originality and it’s a process Orcadian producers have been quick to get involved with.